I spent much of SECT Beirut thinking about the “performance” of resistance. The question was raised on day one by Howayda Al-Harithy’s talk on Tahrir Square. 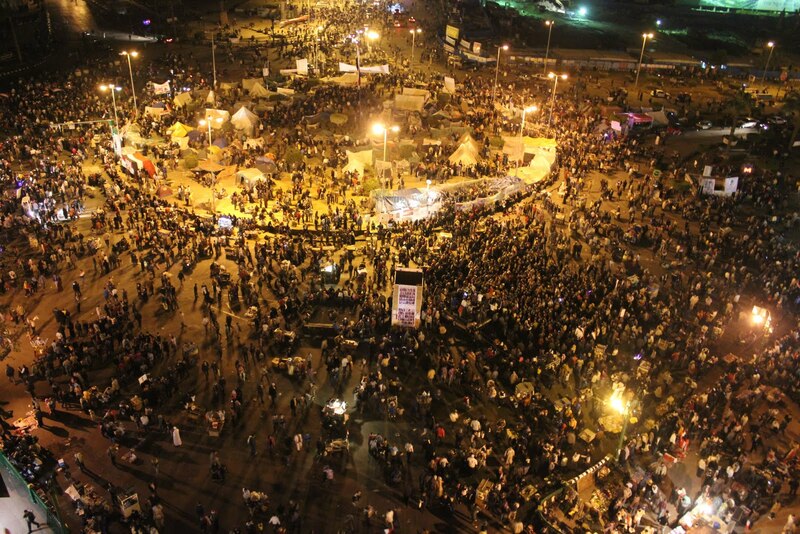 I raised and pondered the question of whether much of what occurred at Tahrir, in the various Occupy movements, and indeed in many resistance movements, is a kind of performance of resistance that relies heavily on visibility and spectacle, and on addressing this performance to multiple kinds of audiences. In other words, for resistance to be effective, it must be seen, heard and registered by some other to whom it is addressed, and from whom some response is called for. I come to this question from my own interest in the political thought and action of Gandhi. Gandhi’s genius lay partially in his strategic ability to link disruptive, confrontational political nonviolence to a performativemoral posture of asceticism, stoicism and self-abnegation. For Gandhi, a rigorous, ascetic discipline ensured that the righteous anger and indignation inherent in nonviolent dissent was seen as an expression of the highest moral commitment. Gandhi was able to performatively link the motivation of the nonviolent dissenter to a form of spiritual discipline (as evidenced by his fasts, his insistence on simple living, dietary and sartorial minimalism). Nonviolent resistance was thus strategically viable, for it used the symbolism of this performative discipline to subvert the ability of power structures to cast the disruption of resistance as dangerous, threatening and thus deserving of criminalization. Thus, much of what occurred under Gandhi’s leadership during the Indian nationalist struggle was performative communication: messages were sent to adversaries (namely the British), and discourse and negotiation happened often through the performance of moral commitment. The strength of commitment was communicated not simply through speech, but rather through resisters’ willingness and ability to suffer as a consequence of their civil disobedience. This discursive negotiation depended crucially in turn on the ability of resisters to make visible the spectacle of their nonviolent suffering, to precisely the audience they wished to reach: among others, their adversaries. Conversations on the opening day of SECT, however, began to raise a certain caution regarding the notion of performance within resistance movements. Performance became equated to rehearsal, planning, and scripting, and in turn opposed in a binary fashion to spontaneity, unpredictability and the element of surprise which was said to have characterized the reactions, negotiations and contestations at Tahrir. Underlying this caution was the implicit suggestion (perhaps not articulated) that “genuine” or “authentic” resistance could not be scripted or planned. An important intervention then requires us to consider whether we must now broaden our very conception of resistance beyond the binary boundaries of either/or, and see it as something that involves both scripting and spontaneity, both planning and unpredictability. Indeed Ruthie Gilmore asked us to consider the notion of resistance as repeated efforts at performance, or even improvisational performance – repeatedly trying new ways of performing a particular set of ideas or practices. This returns me to my reflections on Gandhi’s leadership of the Indian nationalist struggle. The movement led by Gandhi was based not simply on strong truth claims and moral commitments reflecting such truth claims. Rather, the performances of resistance designed to articulate such claims were also known to be organized with precision, extreme advance planning, and rigorous training. Gandhi insisted that civil resisters be trained in the techniques of civil disobedience, that the marches, protests and law-breaking led by him be timed, rigorously scripted, with resisters given extremely precise instructions about how to act in response to a variety of situations. Rarely was anything left to chance, and rarely did Gandhi use the language of spontaneity or unpredictability as central to the movement. Instead, he indicated repeatedly that the moral righteousness of the civil resister depended crucially on his or her ability to demonstrate a strict discipline, an ability to follow a pre-scripted course of action, and to adhere rigorously to the training and instructions given therein. The strategic aspect of performance thus co-existed with the moral claims of the movement, and relied upon the precision, discipline and predictability of scripted resistance. I end by suggesting, therefore, that Gandhi’s resistance could not have been any less “genuine” due to its obsession with the discipline of training and scripting. Rather than wandering into speculations about the authenticity of various kinds of resistance—itself a rather problematic conception—we might ask instead whether we can unpack the notion of resistance as performance, and ask how such performance incorporates at different times and in different ways both the predictable and the unpredictable, both discipline and spontaneity, both rehearsing and improvising.